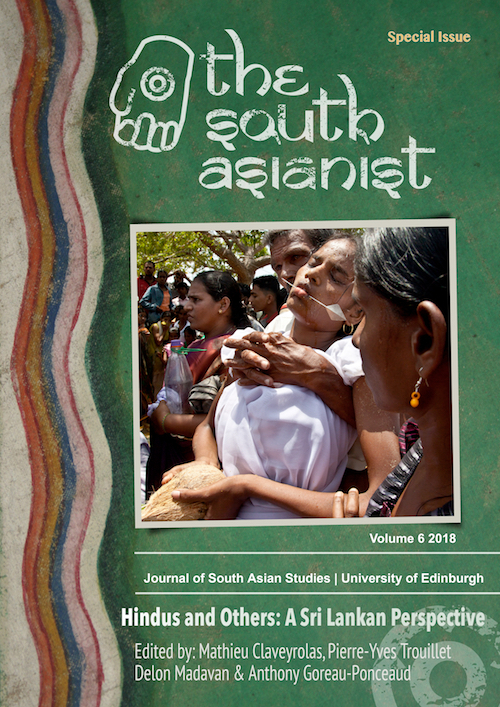 This regularly scheduled issue, and ninth instalment since the journal's launch in October 2011, features articles covering a variety of themes in contemporary and historical South Asia, from community responses to land-grabbing in Nepal, and theoretical explorations of the political in asceticism among sadhus in India, to governance patterns among the Yimchunger Nagas in the Indo-Burmese borderlands, and patterns of urban violence in crowded Karachi, Pakistan. Broadly speaking, the main themes traversing this issue, presented by junior and senior scholars, encompass minority communities contesting dominant forces, resisting political subjugation, and vying for recognition. 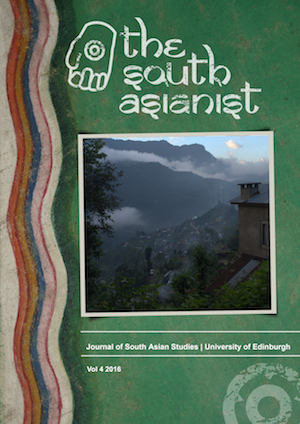 The cover image is of 700 year-old Khonoma village in Nagaland state, India; a village that successfully resisted British control in the southern Naga inhabited areas for nearly five decades, culminating in a truce in 1878. Image by Michael Heneise. Edited by Luke Heslop, this collection of essays brings into focus some of the social, political, and economic changes that have taken place since the end of the war, linking them to events that have unfolded throughout Sri Lanka’s tumultuous post colonial experience. The issue also contains some fantastic photography by Kalpa Rajapasha and Madhava Meegaskumbura. 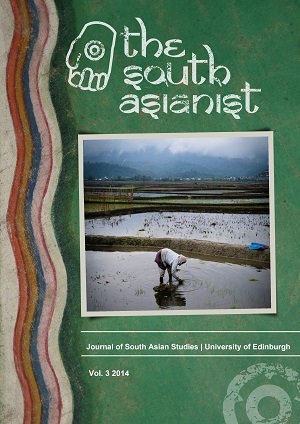 This issue offers up two broad themes that could very well describe ordinary, day-to-day activity in much of South Asia - motion and consumption. Yet this bird's-eye view belies the intensity of subjective intentionality, and the continuous negotiation that takes place as experience and risk are juggled in an effort to overcome social, economic and political obstacles, and to gain some advantage where possible. 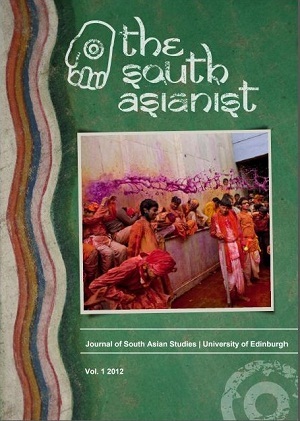 Articles, photo essays, and book reviews cover topics in Nepal, Bangladesh, Sri Lanka, Pakistan, and India. Cover: Rongpharpi Rongbe monument (Rong is 'village,' be is 'to flee') in Karbi Anglong, Assam. An iconic heroine and symbol of courage, justice and freedom among the Karbi people, it is believed that Rongpharpi Rongbe lived several centuries ago when most of the Karbi people were ruled by either the Kachari or Khasi Kingdoms. A king kept tiger cubs as pets, feeding them human milk in an attempt to domesticate them. He would send his soldiers to the Karbi villages everyday to collect milk from the women. Unable to stand the tyranny of the king, Kareng Rongpharpi picked up a hatchet and killed the soldiers. She, along with the villagers fled their homes out of fear of reprisal. Description by Milton Terang. Photo by Michael Heneise, December 2005. 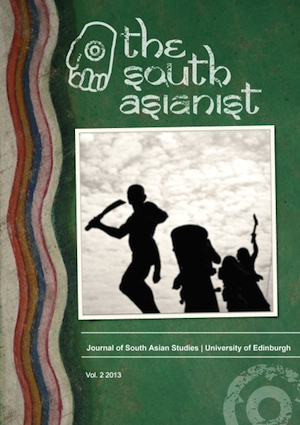 This issue is guest edited by Kenta Funahashi (Kyoto University) and Shinya Ishizaka (Kyoto University/National Institutes for the Humanities, Japan) and draws on research presented at the Japan-Edinburgh Workshop “Social Movements and the Subaltern in Postcolonial South Asia” held jointly by the Centre for South Asian Studies, University of Edinburgh and the scheme of programs, “Young Researcher Overseas Visits Program for Vitalizing Brain Circulation” (JSPS, Japan) and “Contemporary India Area Studies (INDAS)” (NIHU, Japan) on the 17th, October 2012 at the University of Edinburgh. 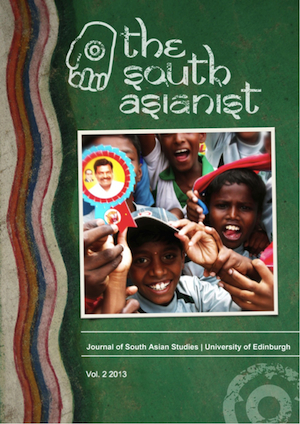 We are very proud to announce the launch of a new South Asian studies journal: The South Asianist! 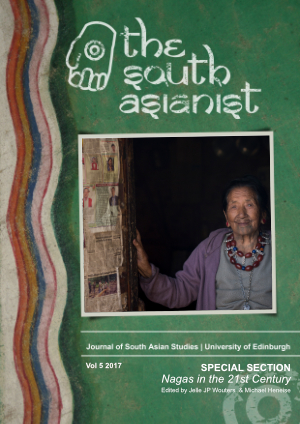 Our inaugural issue titled: Marginalities and Aspirations was previewed during a special event honouring public health practitioner and human rights defender Dr. Binayak Sen on the 14th of June at the University of Edinburgh's School of Social and Political Science. The full issue - including articles, a film review, and two video interviews - including one with Dr. Sen - are now available. 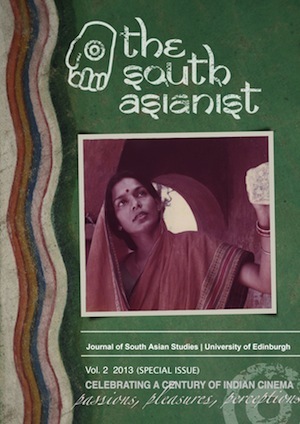 We would particularly like to thank Edinburgh University's Digital Library and the wonderful team that worked tirelessly to build, support and host the online journal in coordination with the journal's editorial team and graphic designer. 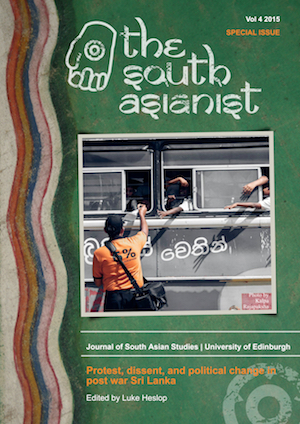 We hope this will be the beginning of a fruitful, widely accessible periodical covering critical issues related to the study of South Asia. 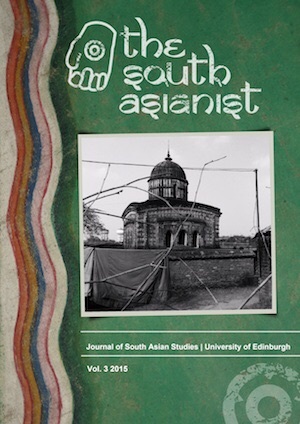 In coordination with the South Asian Anthropologist's Group, The South Asianist has created this special conference issue featuring titles and abstracts of the presentations in the order in which they were delivered. The aim of this project is to provide a space that captures some of the unique qualities and cumulative learning that occurs during the unique workshop/conference event. SAAG 2012 was hosted jointly by Social Anthropology and the Centre for South Asian Studies from the 4th to the 6th, September 2012 in the Old Library, Institute of Geography, University of Edinburgh, Drummond Street, Edinburgh. A relaxed and friendly event, SAAG aims to stimulate intellectual debate and dialogue on current research and emerging issues in the study of South Asia. Papers are pre-circulated to participants and the format for the panels is: paper presentation by discussant, author’s response and then open discussion.